1.1 Under the prolonged dry weather over the Mekong sub-region, persistent hotspots and smoke haze continued to be observed over Cambodia and parts of Thailand. The hazy conditions became more extensive with accumulation of smoke haze under light wind conditions toward the end of the fortnight. Some of the smoke haze from these hotspots were blown toward neighbouring countries. 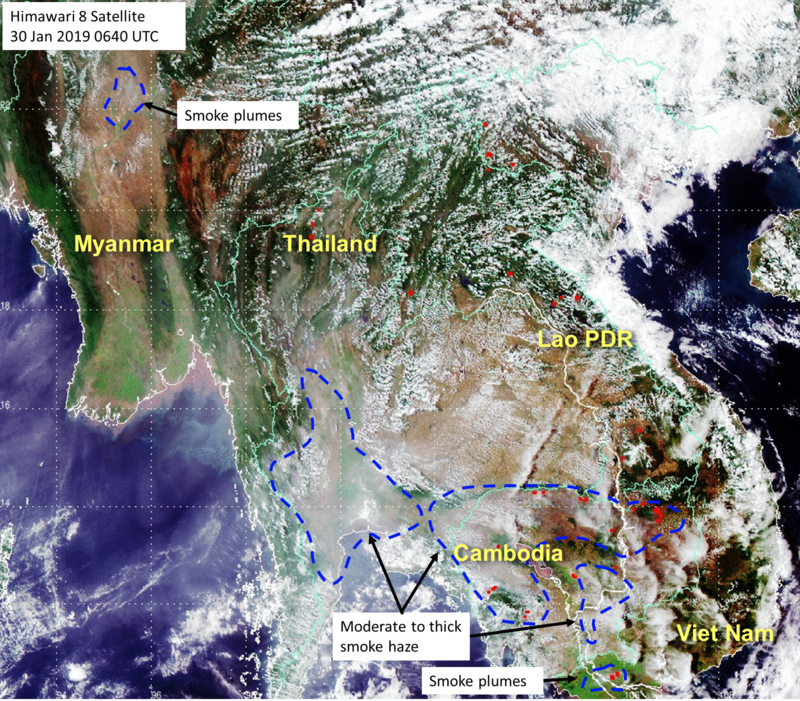 Isolated hotspots with smoke plumes were also observed in Lao PDR, Myanmar and Viet Nam. In the southern ASEAN region, hotspot activities remain subdued. 1.2 Figures 6 and 7 show satellite images over the ASEAN region in the second fortnight of January 2019. 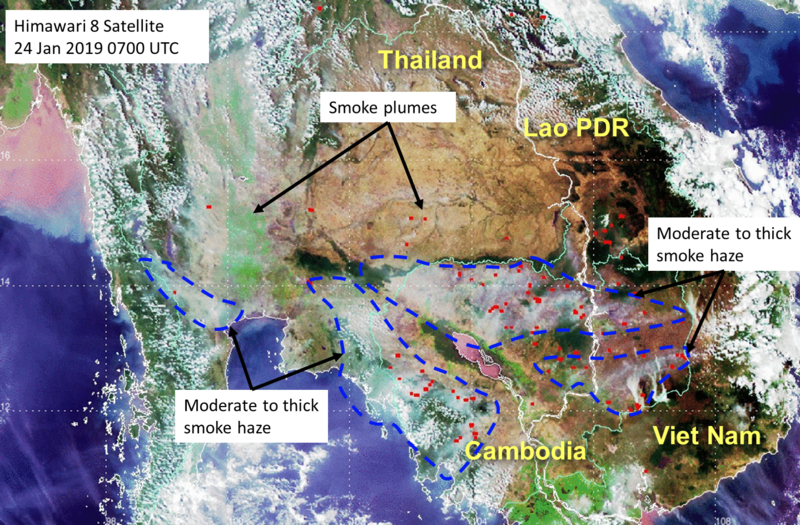 Figure 1: Smoke haze from persistent hotspots in Mekong sub-region (marked by blue dotted lines).